The southern belle known only as Rogue is the youngest member of the X-Men. She possesses the uncanny ability to absorb the powers and strength of any human or mutant that she touches. Her power is also a curse because she can never touch another living being without fear of taking on their memories or seriously injuring them. 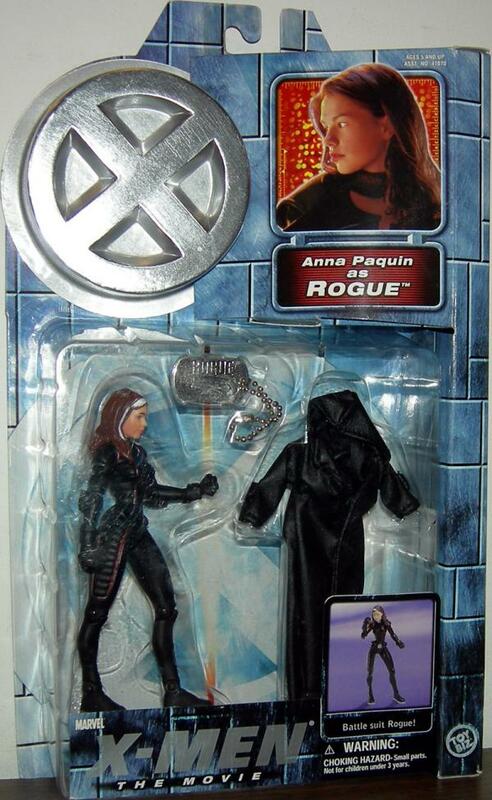 Rogue first encountered the team of mutant super heroes when she started traveling with Logan. She joined the group and earned her own distinctive black leather battle suit after helping Wolverine and the rest of the team defeat Magneto and his evil brotherhood. 6" scale.